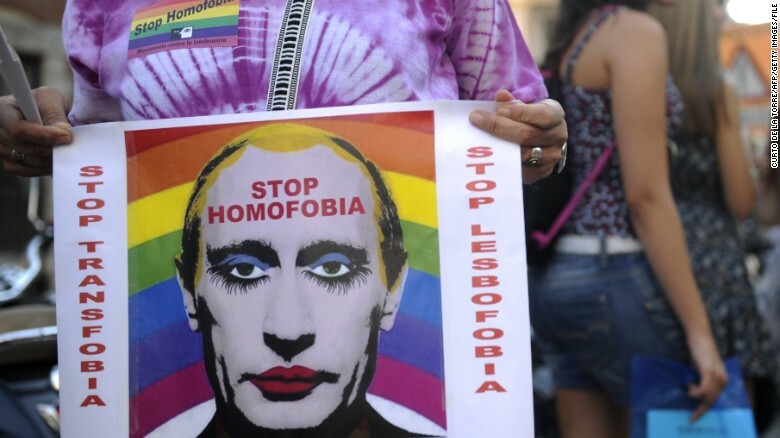 It is now illegal in Russia to distribute any images that depict President Vladimir Putin wearing makeup and implying he is gay. Such images — or caricatures – have been widely shared online over the past few years known as the Putin gay clown meme. The Justice Ministry in Moscow has included one of them among a registry of “extremist materials,” along with others such as anti-Semitic and racist pictures and slogans. Watch The New Trailer For Tupac Biopic "All Eyez On Me"